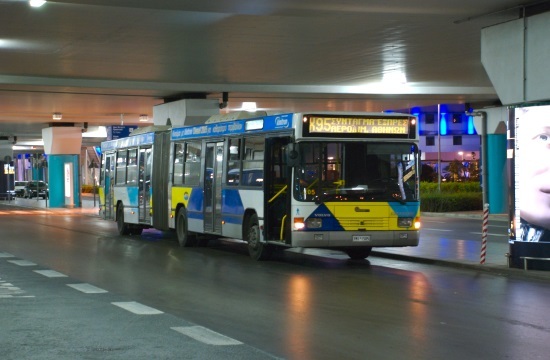 Staff on the Athens public transport organisation (OASA) buses on Friday announced a series of work stoppages on May 16, 17 and 18, in protest against the government's agreements with Greece's lenders. The work stoppage on May 16 will start at 11:00 and end at 16:00, while those on May 17 and 18 will begin at the start of the day's shift and stop at 9:00 then resume at 21:00 until the end of the shift. "The hope we were sold was converted into continued agreements with the partners, memorandums steeped in suffocating measures and successive attacks on the workers, as well as on all social groups," the OASA workers' union said.